If you're in an app and swipe left or right with four fingers, you switch to one of the other apps that are running. If you're in an app and "grab" with all four fingers, pinching toward the center, you'll go back to the home screen. If you swipe up with four fingers, you'll see the multi-tasking bar at the bottom. 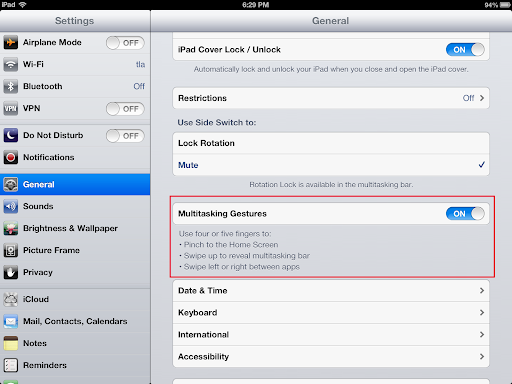 These are all extremely useful gestures and can save wear and tear on your home button. Item #1 will help you switch apps much more quickly so that you only need to do #3 when you want to close apps completely.